(Indianapolis, IN) Aneury Rodriguez battled through five innings and kept the game close, but Indianapolis pulled away, and beat Durham 9-1 on Thursday. Desmond Jennings drove home the only run. Rodriguez (3-5) threw 107 pitches in five innings, with walks setting up both runs. After a Jonathan Van Every sac fly gave the Indians a 1-0 lead in the second, Durham tied it against Charlie Morton (1-1) in the third on a walk, hit batter, and Desmond Jennings infield two-out single. Indianapolis took the lead back in the third inning as the Indians strung together a hit, walk and then a Steve Pearce RBI single to center for a 2-1 advantage. Rodriguez then settled down, allowing just one more base runner over the next 2.2 innings. Durham walked eight Indianapolis hitters, one night after walking nine batters. 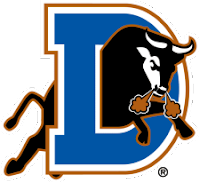 At the plate, Durham (43-30) managed just two hits against rehabbing righty Charlie Morton. Morton retired the last 14 Bulls hitters. The Bulls finished the 11-day trip at 4-5, and still lead the South Division by eight games. Durham begins an 11-game home stand against Lehigh Valley on Friday as Jeremy Hellickson takes the mound against Nate Bump in a battle of righties. Coverage on 620 the Buzz begins at 6:50, with first pitch at 7:05.